75% of Americans live paycheck to paycheck. Are you living paycheck to paycheck? According to the statement above, 7 in every 10 houses in your neighborhood is one emergency away from a crisis. That’s a huge deal! Many families are torn apart because of financial troubles and I refuse to allow that you happen to you! That’s why you need an emergency fund. Q: What is an emergency fund? 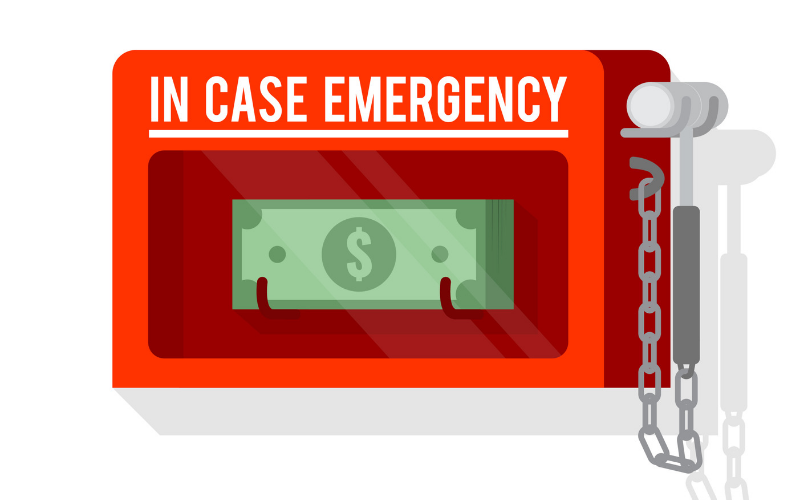 A: An emergency fund is money that can be accessed quickly in case of an emergency. 71% do not have enough money on hand to cover 6 month’s living expenses. 46% do not pay their bills on time. 48% spend as much as they make or more each month. 12% do not contribute monthly to a savings account or any type of retirement account. 11% have credit card debt in excess of $5,000. 12% have student loan debt in excess of $20,000. I'm Ariel Shanelle and I believe anything is possible if you're willing to work for it! That's why I'm here: to help you achieve your goals faster. I'm passionate about helping others in personal development, finances, health, and fitness. Do you wish eating healthy was easier? This guide will show you how to look for wholesome, quality foods while out shopping & teach you which ingredients to avoid. Proudly powered by WordPress | Theme: Madeleine by Titalala.